Living near Aspen, Colorado, one is always somehow involved in snow sports. I love the snow, however, photographing in the snow carries it’s own very special problems. The cold is one issue, moisture is another. I always carry a small towel with me…not a big thing, but believe me, when you drop your camera in the snow, and/or it’s snowing while you are shooting, you’ll find that having a small towel with you is a great help. Of course you can purchase fancy “Lens Rain Coats” or “Rainsleves”, all sorts of things. It will all depend upon the exact type of weather you are dealing with. Sometimes, just a zip-lock bag works….be prepared, keep your equipment dry at all times. 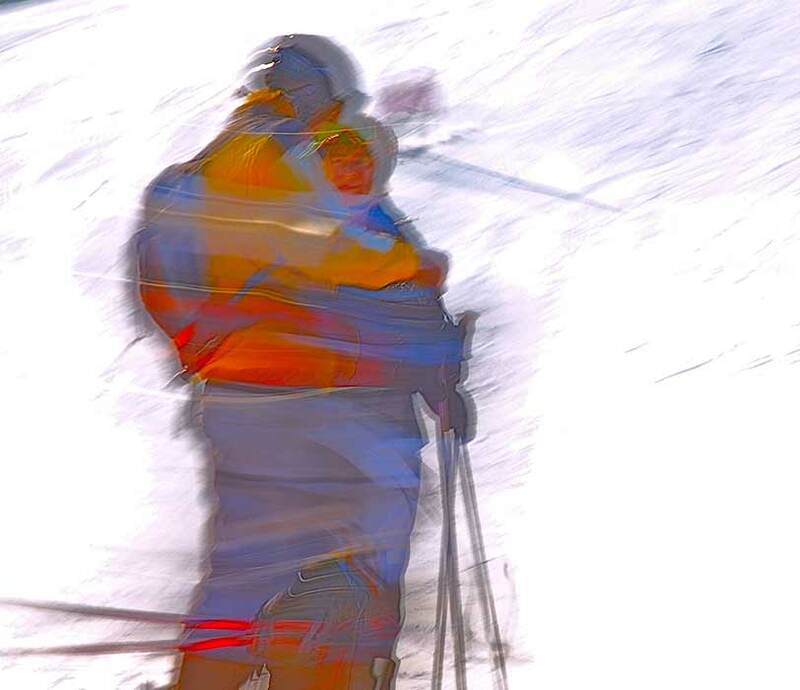 This photo was shot on a bright sunny day on Aspen Mountain, at high noon. It was very cold, below zero, so I kept my camera as warm as possible until I actually started to shoot. I was using a Nikon D200, 70-200MM lens, at the 70mm setting, f22 at 1/4000 seconds. By closing down the shutter and using a long exposure, I allowed the movement to “blur” in front of the shutter. Of course I was on my MeFOTO ROADTRIP CARBON FIBER TRIPOD….light weight, folds down to practically floor height. A great tripod, especially for traveling.